David Yurman pendant from the Albion® Collection. Polished sterling silver bale and bezel setting. Faceted black orchid cushion center. Approx. David Yurman pendant from the Albion® Collection. Polished sterling silver bale and bezel setting. Faceted black orchid cushion center. Approx. 0.8"H (20mm). Please note: pendant only, chain sold separately. 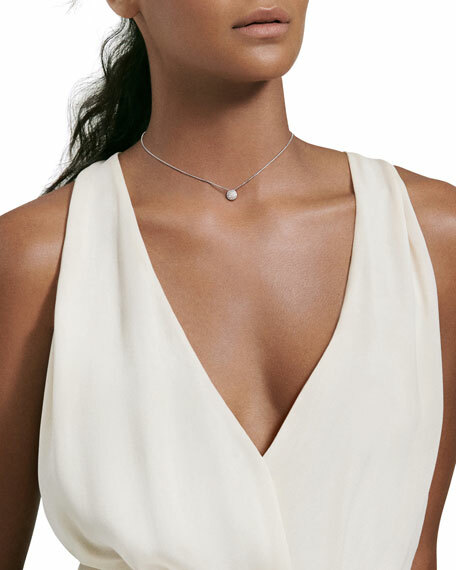 David Yurman pendant from the Albion® Collection. Polished sterling silver bale and bezel setting. Faceted sky blue topaz cushion center. David Yurman pendant from the Albion® Collection. Polished sterling silver bale and bezel setting. Faceted sky blue topaz cushion center. Approx. 0.8"H (20mm). Please note: pendant only, chain sold separately. 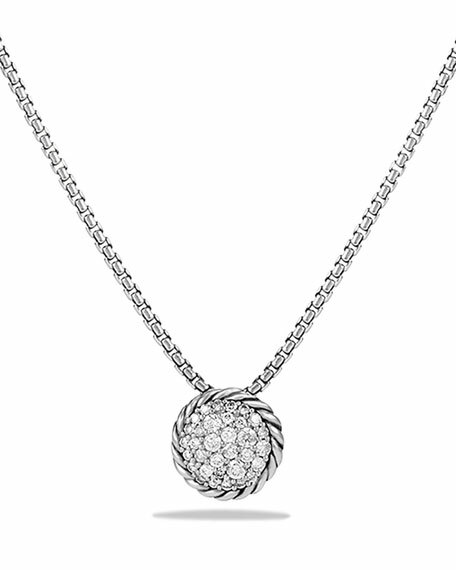 David Yurman crossover pendant on chain. Sterling silver and 14-karat yellow gold. Pendant, 37mm diameter. Baby box chain, 1.7mm wide, adjustable to 38"L. Adjustable clasp. Made in Italy of imported material.